Replacement Battery for 2002 Honda TRX500FA Fourtrax Rubicon 450 CC; Factory Activated, Maintenance Free, Sealed Lead Acid Battery; Ready to install. No need to add acid. Leak free, sealed design prevents corrosion. 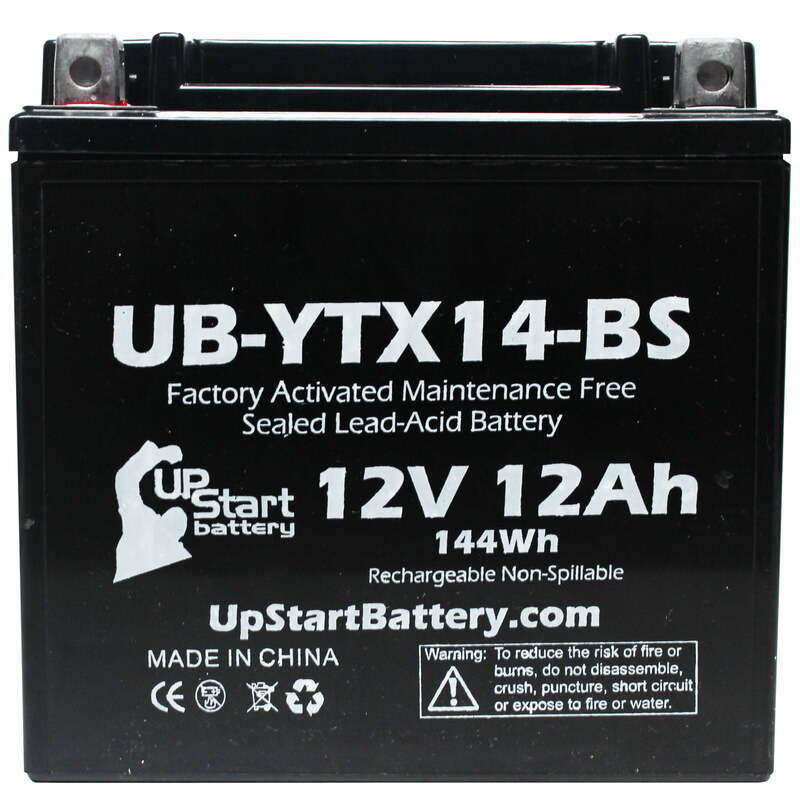 ; One Year Warranty, Voltage: 12V, Capacity: 12AH; UpStart Battery Brand. On Sale for a Limited Time! 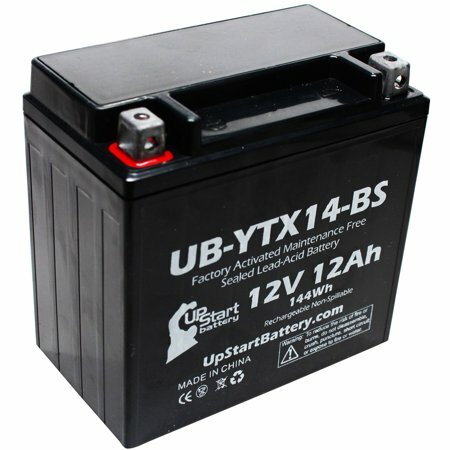 Replacement 2002 Honda TRX500FA Fourtrax Rubicon 450 CC Factory Activated, Maintenance Free, ATV Battery - 12V, 12AH, UB-YTX14-BSPlease note: This is an UpStart Battery brand replacement part, not an OEM product. This product is not affiliated with any OEM brands and is not covered under any warranties offered by the original manufacturers. Any warranties for this product are offered solely by Upstart Battery. All mentions of brand names or model descriptions are made strictly to illustrate compatibility. All brand names and logos are registered trademarks of their respective owners.